WASHINGTON – One of the most senior Iranian military officers has issued the latest in a series of threats over what Iran would do if the United States or Israel decides to bomb his country’s nuclear facilities. 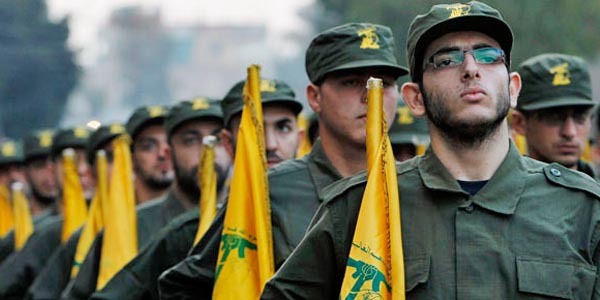 Maj. Gen. Yahya Rahim Safavi, senior military aide to Iranian Supreme Leader Ayatollah Sayyid Ali Khamenei, said his country would unleash Lebanon’s Hezbollah on Israel should there be any military action against his country. “The Iranian nation and armed forces are ready for an all-out defense and protection of the country with all their power and they will respond to any aggression with reciprocal and inconceivable strikes,” Safavi said. His comments come just days after Iran’s Northern Navy Fleet Admiral, Afshin Rezayee Haddad, said a “fleet” of Iranian warships is heading into the Atlantic Ocean to be stationed off the U.S. East Coast. The move has raised concerns with U.S. national security experts. They have warned that the U.S. missile system would not be able to respond in time should warships stationed off the U.S. coast launch a missile and explode a nuclear warhead at a high altitude over the U.S. Such an explosion could create an electromagnetic pulse that could knock out the American electrical grid system. They also believe that if such a missile were launched, it would not be from an Iranian warship but from a commercial vessel sailing along the East Coast or in the Gulf of Mexico. “It shows they could put a weapon on a boat or freighter, and if Iran has ballistic missiles it could put it anywhere on the U.S. coast,” said John Bolton, former U.S. ambassador to the United Nations and currently a senior fellow at the Washington-based American Enterprise Institute. Haddad said that the warship deployment was in response to warships of the U.S. Navy’s 5th Fleet being stationed in Bahrain, not far from Iran, and the near constant patrolling of U.S. carrier task forces through the Strait of Hormuz which skirts Iranian territory. In addition, Iranian officials in recent days also have released videos of simulated attacks on Israel and the U.S. carriers. Iranian Defense Minister Brig. Gen. Hossein Dehqan warned that the Iranian armed forces would give an “inconceivable response” to any attack, adding that any threats from U.S. or Israeli officials won’t stop the country from continuing its nuclear fuel production. This stream of bravado comes at a time when Iran is trying to convince the West that its nuclear facilities are for peaceful purposes as Iran and the U.S., along with its allies, meet to finalize an agreement over Iran’s nuclear program and lift Western sanctions. Last November, Iran and the P5+1 countries of the United Nations Security Council – the U.S., Russia, France, Great Britain and China plus Germany – agreed to a six-month Joint Plan of Action to lay the groundwork for the full resolution of the West’s decades old dispute with Iran over its nuclear energy program. Iran also agreed to limit but not halt certain aspects of its nuclear activities, but will continue nuclear enrichment but only to a low level which Western nuclear experts agree could easily be reversed. These threats appear to be coming at the same time that Iran is celebrating the 35th anniversary of the Islamic Revolution which resulted in the ouster of the Shah of Iran, Mohammad Reza Pahlavi. He fled the country in 1979, bringing in the conservative clerics who continue to rule Iran to this day. Safavi downplayed any U.S. or Israeli threats against Iran’s nuclear facilities. A reference to the Lebanese Hezbollah suggested that Iran maintains firm control over it. “The Iranian armed forces are an intertwined and coherent complex which can give a decisive response to any threat at any level and any place under the command of the Commander-in-Chief (Khamenei),” Dehqan said. “The enemy can never assess and think of the range of the response given by the powerful and mighty armed forces of the Islamic Iran,” Dehqan said. On the occasion of the 35th anniversary of the Islamic revolution, Khamenei also dismissed any compromise with the U.S., saying Washington is pursuing a hypocritical approach toward Iran and has aimed at the nation’s independence. “The Iranian nation should pay attention to the recent negotiations and the rude remarks of the Americans so that everyone gets to know the enemy well,” Khamenei said. Such a comment could reflect a potential setback in any initiative by U.S. President Barack Obama to develop a relationship with the Islamic republic. Separately, there even have been rumors in recent days in Washington that Obama may consider paying a visit to Tehran, although U.S. officials will not comment on that prospect. Despite peaceful overtures, U.S. Secretary of State John Kerry said that the military option remains on the table if Iran does not live up to its nuclear commitments under the agreement.